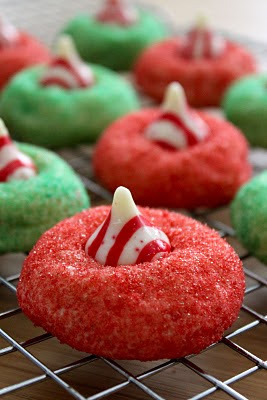 What I'm loving today are these scrumptious munchies for the holidays. SPOILER ALERT: This is a high-calorie post! Isn't it divine?? I'm afraid I might not share if I make it. mmm I'd be in a sugar induced coma after all that, but surely it would be bliss. Gotta try the Nutella Hot Chocolate - Yummo! 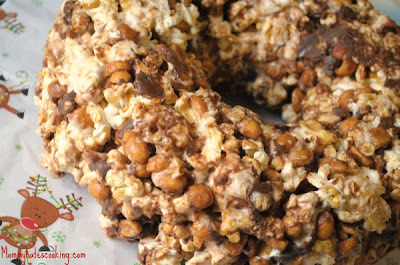 The popcorn chocolate wreath looks so good.. I don't think i'd want to share either. These all look so good. Thanks for posting these. I just bought a bag of those red and white kisses. SO GOOD! With or without a cookie around them! Whoa! 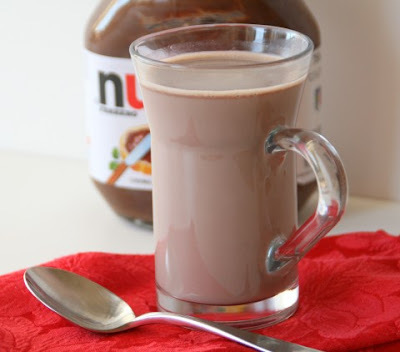 I would really like to try the Nutella Hot Chocolate, in fact, just today I try Nutella for the very first time. And I like it, but here in my little corner of the world we have "dulce de leche" which is made by simmered sweetened condensed milk (the fast and easy way).It's very sweet, almost TOO sweet.I love it! 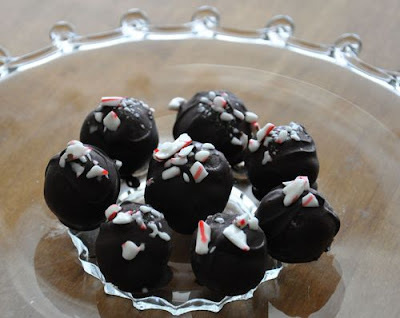 CAKE BALLS!! I've only had one once and it was GLORIOUS!